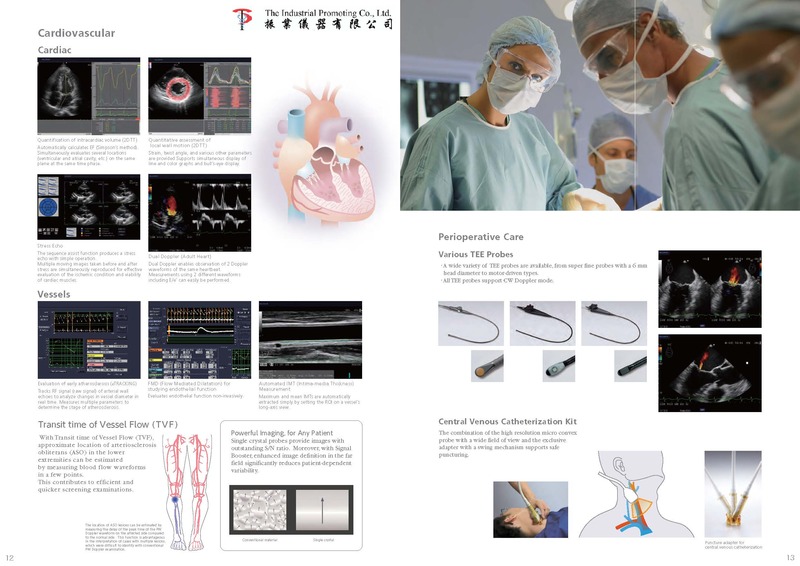 ProSound-F75 - ProSound Series - Ultrasound System - Product - The Industrial Promoting Co. Ltd.
For more natural and pleasant examinations Performing examinations in a natural posture is known to reduce the occurrence of musculoskeltal disorders. 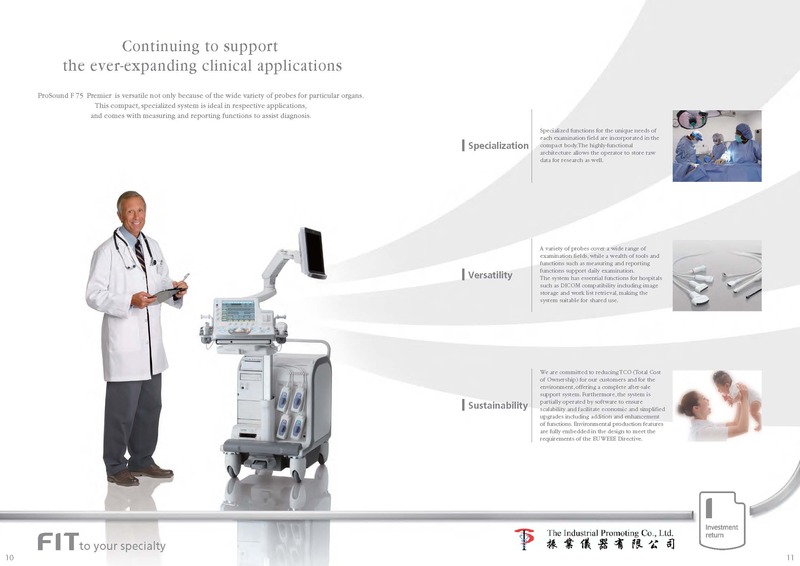 The ProSound F75 Premier with outstanding flexibility of its monitor and operation panel offers stress-free usability FIT for various examination setting. 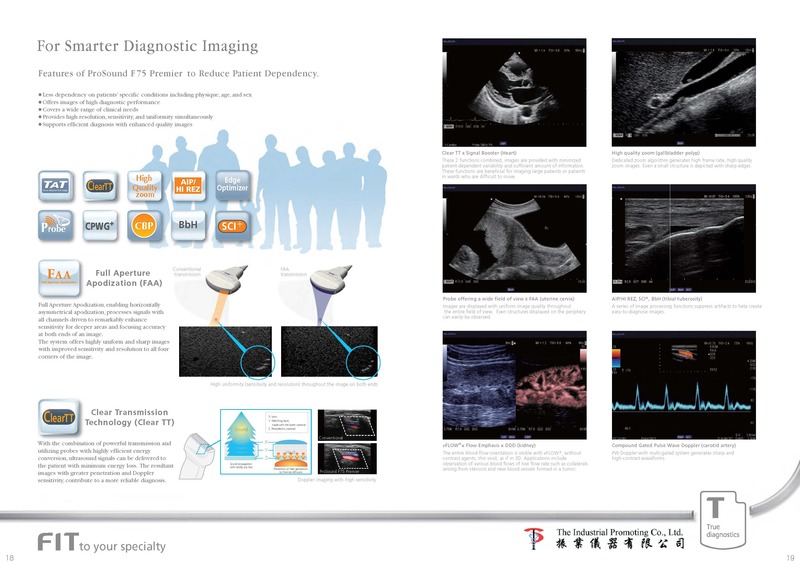 ProSound F75 Premier enables you to obtain image examination results with fewer user key strokes. 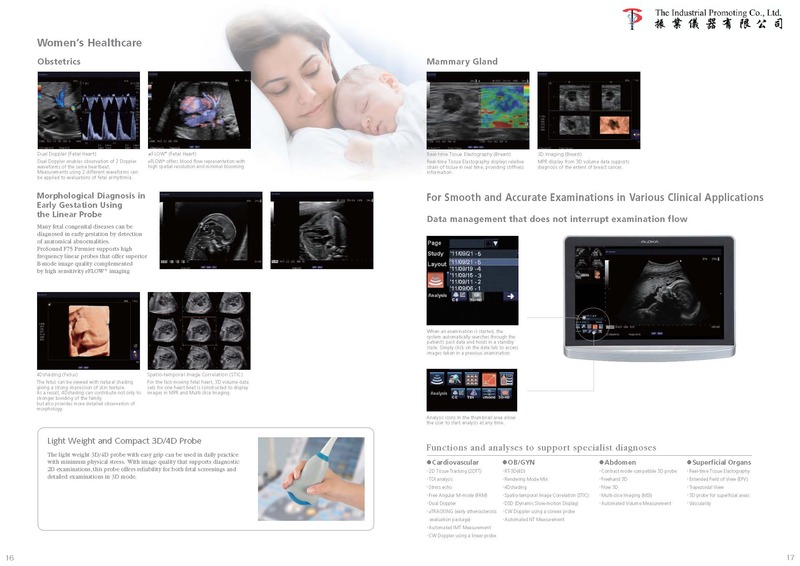 To improve examination throughput, the ProSound F75 Premier features various functions from pre-examination settings to data management after examination. 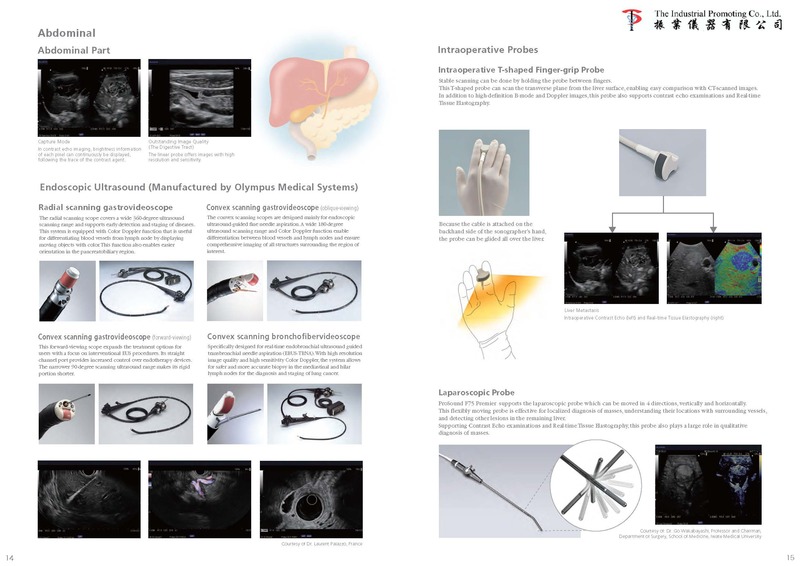 Operations are simple and intuitive, enabling you to capture the images you need for a quick and in-depth diagnosis. Quick Setter, Automated Sound Velocity Adjustment, and other image optimization functions support speedy examination in a broad range of applications.